Tenho andado a usar imenso peças em bordeaux ou burgundy e gosto de o misturar com cor de rosa, que foi o que fiz neste look onde conjuguei umas calças e uma camisola neste tom e depois quebrei um pouco com o colete de pelo em rosa. 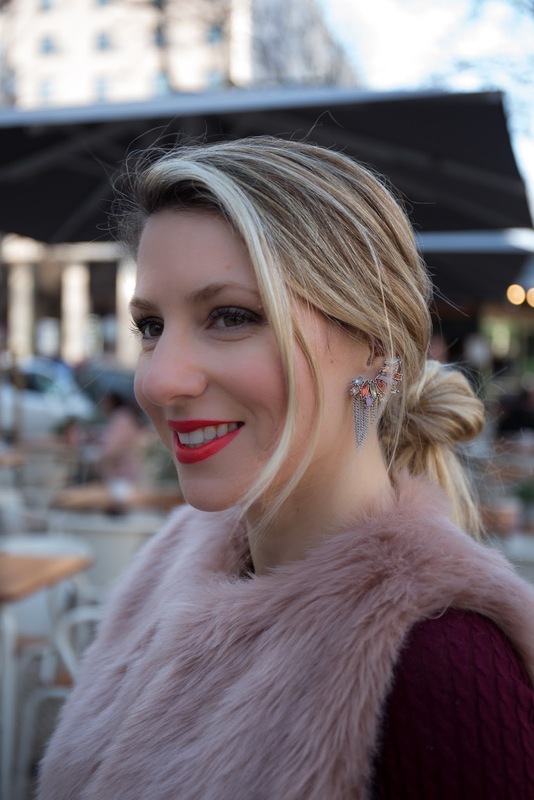 As ear cuffs dentro dos mesmos tons veem trazer um mood um pouco mais edgy ao look! I have been wearing a lot of pieces in burgundy and sometimes i like to mix them with pink, i think it works very well. 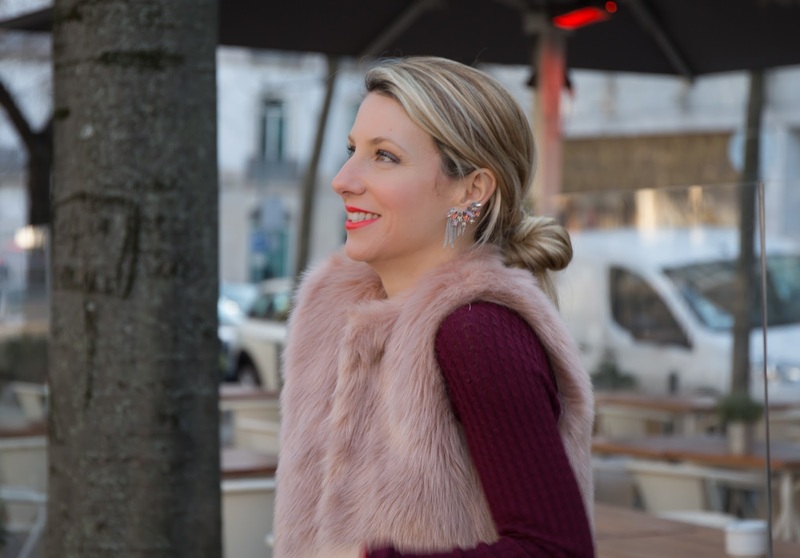 That´s what i did in this look with a pair of burgundy pants and sweater and then break the monochromatic outfit with the pink fur vest. The ear cuffs in the same colours bring some edginess to the hole look!